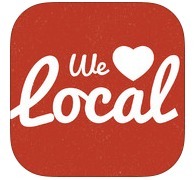 The We Heart Local App connects you to the delicious flavors of your local BC food community. It's your anytime, anywhere convenience for finding, experiencing and enjoying restaurants, vendors, or markets that support the Buy Local. Eat Natural. food movement in BC.